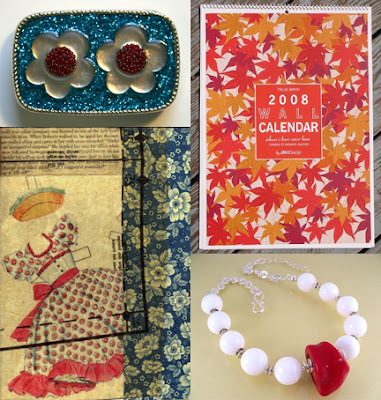 Four members of Boston Handmade will be showing their work this weekend at the Jamaica Plain Open Studios, Saturday and Sunday 11am to 6pm both days. Karalee Serra will be showing at the Central Congregational Church, Jessica Burko and Betsy Baker will be showing at the Brewer Street Carriage House, and Jennifer Hill will be showing her work at Fire Opal. Over 200 artists and artisans will be showing and selling their work this weekend at the JP Open Studios - there will surely be something for everyone so check it out!! I hope to see you guys! Im with you in spirit!